Fans of number one best-selling author David Walliams will have a unique overnight opportunity to follow in the footsteps of The Midnight Gang with an exciting sleepover developed by The Novium Museum in collaboration with Chichester Festival Theatre. The Novium Museum's popular LEGO® Brick exhibition, Bricks Britannia: A History of Britain in LEGO Bricks, showcases a metre high model of Big Ben to celebrate Chichester Festival Theatre's production of David Walliam's hit book, The Midnight Gang. 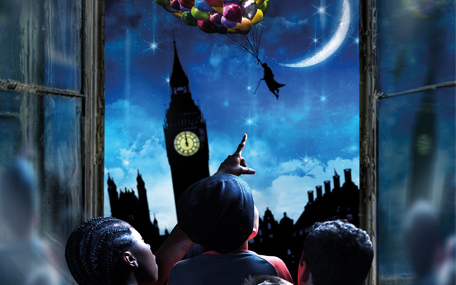 The play tells the extraordinary story of five children in a wonderfully inventive and eccentric hospital setting and takes people on an unmissable midnight adventure. Sleepover guests will arrive at the museum in their pyjamas and begin their adventure by recreating the magic, mischief and memory making of The Midnight Gang, with an exciting programme of themed trails and activities to complete. Eileen Lintill, Cabinet Member for Community Services at Chichester District Council says: "We are delighted to be teaming up with Chichester Festival Theatre to offer this exciting sleepover. The Midnight Gang has captivated and inspired so many young readers, and we look forward to hearing about the adventures they recreate during their night at the museum!" The Novium Museum has been running a successful sleepover programme for four years, with more than 2,000 children experiencing a night at the museum. Sleepover activities include a torch lit treasure hunt, hands on activities and a special bedtime story before settling down to sleep amongst museum exhibits. Rachel Tackley, Executive Director of Chichester Festival Theatre says: "The Midnight Gang is the first dedicated family show to be presented at CFT during a Festival season, so we're especially pleased that local children and their families will be able to get creative themselves alongside it - and look forward to some great adventures, on stage and off." The sleepover will take place at The Novium Museum from 7pm on Saturday 6 October to 8am on Sunday 7 October. It is suitable for children aged 7-11. Children must be accompanied by a responsible adult, at a ratio of 1:3. Tickets for this one-off The Midnight Gang sleepover cost £25 per person and are available now, booking in advance is essential. To book visit Chichester Box Office or call 01243 775888. The Midnight Gang, by David Walliams, is showing at Chichester Festival Theatre this autumn, from 13 October - 3 November.